A week and ONE day ago I was in Turkey, on the way to the final destination of Istanbul. The highlight of the trip, Bran Castle, was behind me, but new highlights that bore no anticipation awaited me. I didn’t know what to expect, except of course this vague sense that Istanbul is the gateway to the east, since it uniquely straddles two continents, Europe and Asia. Of course, now that it’s Sunday I can say that exactly one week ago today I was waking up in Istanbul with three and a quarter days left to go but a lot more to see. 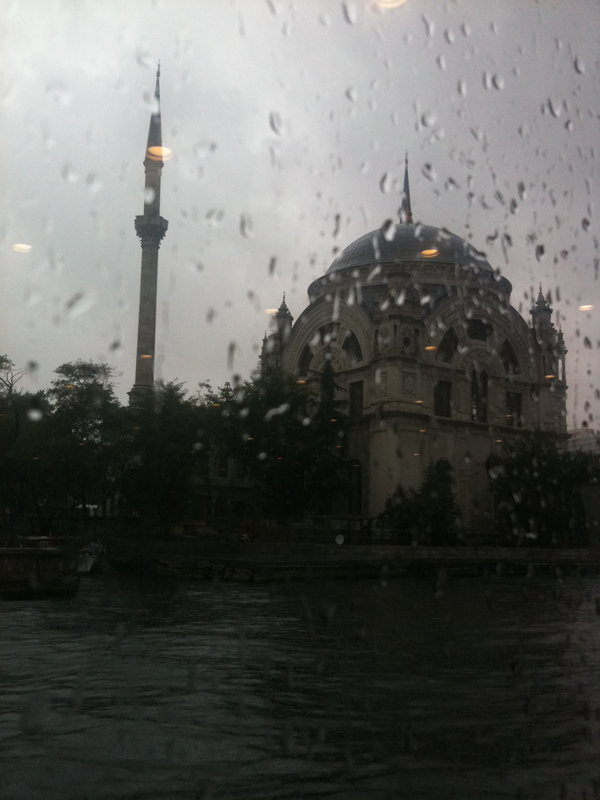 That was the only truly bad-weather day I had, and I got drenched getting on and off the tour bus and boat that took tourists up and down the Bosphorus River, around the Golden Horn, and over to the Asia side. Fortunately, there was that handy dandy clear umbrella the hotel rushed out to me as I was leaving for a day of sightseeing. Still and all, the rain combined with morose spirits and persnickety attitudes that can arise after traveling in a pair or group day and night for multiple days in a row didn’t interfere too badly with photo opps, even if it looks like the window itself is crying. This entry was posted in Eastern Europe, Istanbul and tagged Eastern Europe, Istanbul, Rain. Bookmark the permalink.